If blackouts seem like a thing of the past, it's because they are. Virtually all major American sports have done away with the practice with the most infamous holdout, the National Football League, continuing a suspension of the policy instituted before the 2015 season. 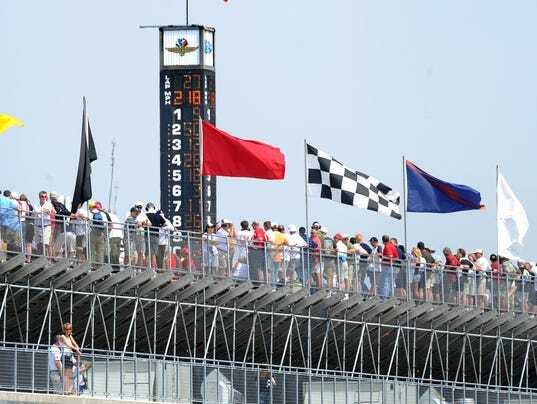 But one of the very last uses of the practice comes with the Indianapolis 500 as television viewers in the Indianapolis television market have been unable to watch the race live since 1950. Instead they are forced to watch it on tape delay in primetime. But now folks at Indianapolis Motor Speedway, who enforce the local ABC blackout, are reportedly considering lifting the blackout according to our good friends at the Indianapolis Star. It is a start to where they are actually discussing lifting the local blackout because it means that ticket sales appear to be pretty strong this year and that is always a good sign. But it still is very tough to get every ticket for the Indy 500 sold because it only happens to have the highest capacity of any sports venue in the world. The rationale for the local blackout is clear. The purpose is not only to draw people to purchase tickets but to also strengthen the television viewership by being able to attract those who attended the race in person to watch it when they can in primetime. And as you would expect, Indianapolis is consistently the highest rated local market of any for ABC's broadcast. But here is the thing, it is 2016. At this point, we know that blackouts have virtually no impact on the attendance both for this race and across sports at-large and nobody is stopping IMS from having the live local broadcast as well as a re-air in primetime. We have seen the lifting of the NFL blackouts having virtually no impact on ratings or attendance, although to be fair there weren't many blackouts to begin with with zero in 2014. I think it's well beyond the time that the good people of Central Indiana are able to watch the Indianapolis 500 live. UPDATE: Mine eyes have seen the glory as the race will in fact be sold out and the blackout will indeed be lifted.